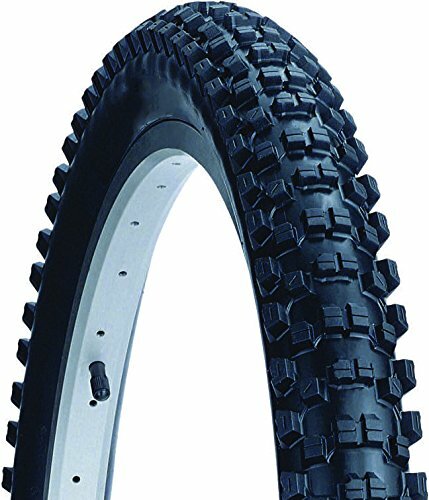 Nevegal Sport is the steel bead version of Kenda's ultimate mountain tire. Tall knobs designed to penetrate and hold on loose terrain. DTC: Dual Tread Compound increases center tread life with the use of Kenda's L3R PRO compound (60 shore A durometer); cornering grip and control are increased by the use of Stick-e rubber (50 shore A durometer)for the shoulder knobs. Color: Black. Tire Bead: Steel. ISO Diameter: 622 / road / 29". ISO Width: 56. Labeled Size: 29 x 2.2. Tire Type: Clincher. Tire Diameter: 29". Intended Use: Mountain.